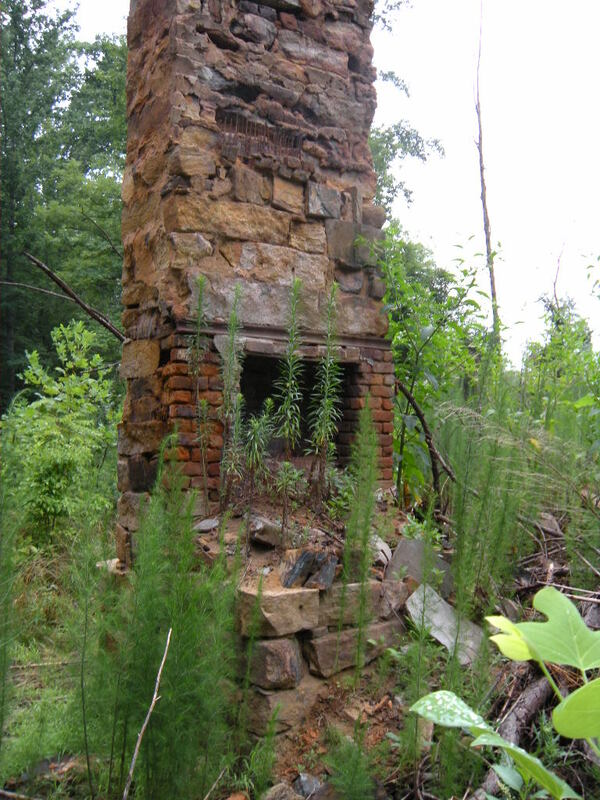 -notable pioneer community on the Pacolet River, Union/Cherokee Counties, South Carolina. Remains of Christie’s Tavern as they appeared in 2012. Whatever your interest in the history of this place or the families who made a living here, welcome to Grindal Shoals. First I want to commend you for your gallant efforts in trying to bring clarity to the Jasper ancestry. I have learned a lot from the materials you have collected and documented. I have been researching my Kentucky Jasper ancestry over the past 40+ years. My line goes to Abraham Jasper and Betsy Baker, which many have connected to Nicholas Jasper. I am still looking for a will, marriage record or something that actually verifies this. Today, I came across something problematic. Online genealogy records state that Nicholas Jasper and Elizabeth Wyatt were married in Wytheville, Virginia in 1767. The problem is that Wythe County was created from Montgomery County in 1790, and land donated for the town in May 1790 to create a town and county seat which was originally called Evansham. The town did not get its present name until after March 1839. The county court house was built after 1790 and was called the Wythe Court House, but clearly, neither the county, court house, nor town exist for the first 23 years of Nicholas and Elizabeth’s marriage. I will beginning my search in Montgomery county, the parent count. But it is clear this Jasper ancestry of mine is a tangled mess. I am developing lineage for Micajah Paulk and sarah stearns. Micajah Paulk was a primative baptist minister in GA. You sited Hume on your site. Can you give me the source of your information? Great site. Robert Coleman appeared with the Tories defending Mobley’s Meeting House in western Fairfield County in June, 1780. Pelham — this Robert Coleman is actually “our” Robert Coleman’s cousin. This group of Colemans — also Tory — were different from, but related to, the Fairfield Colemans. I am researching jonathan Paulk Micajah Paulk and related Stearns lines. You had a great deal of information in your primitive preachers article. do you have the documentation for the information. If so would you share? Hello and thanks for your terrific site. I have a question: what is your source for the marriage of John Eison and Mary Swink Isom? I love the information on your site. I am a descendant of John White and Sarah Mims(? ), that I believe is the brother of Isaac White. My 5 x’s great grandfather William married first Elizabeth Nixon. Do you have any more information on this branch of the family? Hello, sorry its taken so long to reply. If you are still needing the location, we will be re-visiting it in October and I can send you detailed directions then. I live near the old tavern and I will be glad to show you where it once stood. I am researching the Easterwood Family, Lawrence, John, William, David etc who lived in the area and may be the original owners of Easterwood Schoals. Lawrence is my great, great, great great grandfather. He lived in the area in 1785 and before and after. I am descended from Christopher Coleman. Would it be possible to use a copy of your picture for my web page for him? Yes, a credit to grindalshoalsgazette.com would be appreciated. I discovered today that Thomas Jasper who married Sarah Taylor was not a Jasper , but was named Thomas Jesper. His son John Jesper had 4 children, the oldest two are in the church records of in North Farnham Parish, Richmond, Virginia. This is the John Jesper so many people think is John Andrew Jasper. However, John Jesper’s will was probated 3 September 1764. I have looked a few generations of descendants and they are Jespers and are not related to John Andrew Jasper. John Andrew Jasper’s will was probated 1 Oct 1799.He had 10 children that we know of with Mary Herrington. I believe the elusive son Abraham, who was said to have been a Tory, who was born in Wales, was the son of a mother who may have died before Abraham migrated. As all the traditions say he came with his father, no mention of his mother. I have followed most of the descendants of John Andrew Jasper and there is nothing in common with the descendants of John Jesper. At this point I am positive that John Andrew Jasper is NOT the son of Sarah Taylor and Thomas Jesper. Now to find the ancestral home of John Andrew Jasper. Whether he was from Carmarthen Bay, South Wales is an area with a port. He could have traveled from anywhere and left at that port, or been from Carmarthen, which was the most populous area of Wales at the time. Thanks for posting the photos of Christie’s Tavern & the history of the Family Of Robert Coleman Sr..
Robert Coleman Sr., (1710–1782) was my 6th great grandfather. Any more Mcwhirter/ Mcwhorter also Widow Eleanor Mcwhirter that came from VA and settled on both sides of the Pacolet river. Do you have any info on her maiden name Brevard? Thanks I enjoy this blog so much.